Instructions: Season zucchini with extra virgin olive oil, salt and pepper, and roast in the oven at 425° F until slightly brown. Let cool. Enjoy! Instructions: Warm the extra virgin olive in a 12” skillet over medium heat. Sauté the garlic and rosemary until aromatic being careful not to burn. Add the chickpeas and continue to sauté for a few minutes to heat through. Season with salt and black pepper, to taste. Enjoy! 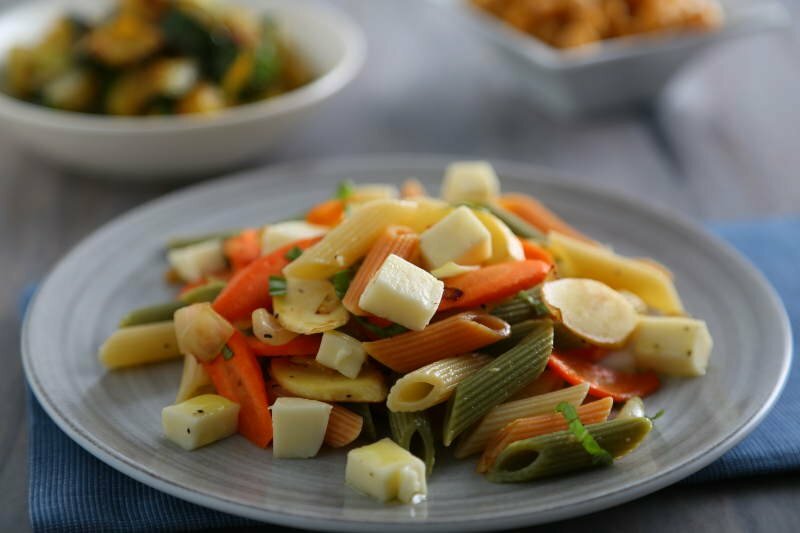 Try this quick, easy and colorful pasta salad recipe by roasting your veggies then adding fresh mozzarella and a garnish of basil.